Southwest of Salem – Festival Trailer from Myth of Monsters Studios on Vimeo. The Center for Law, Justice & Culture in collaboration with the Ohio Innocence Project is pleased to announce that the San Antonio Four will provide a panel discussion on Thursday, March 21, from 6 to 9 p.m. in Siegfred 519. The event will also feature a screening of the documentary Southwest of Salem: The Story of the San Antonio Four. 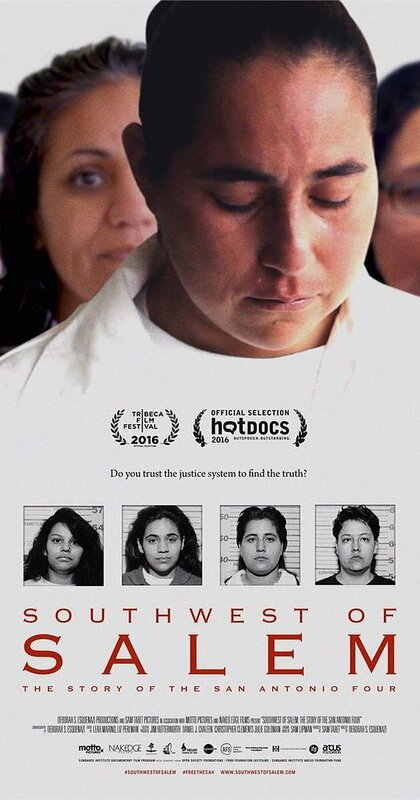 The San Antonio Four—Elizabeth Ramirez, Kristie Mayhugh, Cassandra Rivera, and Anna Vasquez—were wrongfully incarcerated for the sexual assault of two girls, the nieces of Ramirez, in the late 1990s. 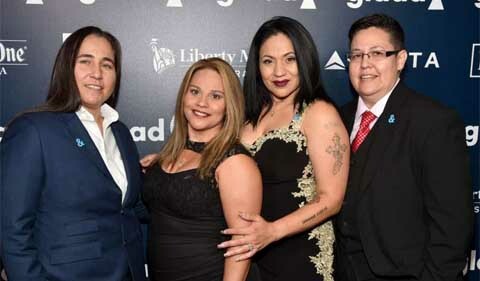 The four women, who are all Latinx members of the LGBTQ+ community, refused to accept plea deals and testified as a part of their own defense. The prosecutors in the case used the women’s sexualities as further “proof” that the women were guilty of the crime. Film poster for Southwest of Salem. As time went on and the four women remained in jail, details began to emerge that cast the case in uncertainty. One of the victims of the crime came forward and admitted that she lied, saying that her family who resented her aunt, Ramirez, for her sexuality and coerced her into placing the blame on Ramirez and her friends. The doctor who made the initial claims explaining the victims’ injuries also recanted, saying that the testimony was based on an inaccurate medical technique. After they fought for their innocence for 15 years, refusing to compromise by taking plea deals, Texas’s highest court finally overruled their conviction and proclaimed that the initial verdict was in fact wrong and affirmed that all four women are innocent of the crime. The women were exonerated in 2016, under the notion that no rational juror would have ever convicted the women if they knew all of the evidence of their innocence that has come forward after the conviction. The case found fame through the documentary released in 2016 titled Southwest of Salem: The Story of the San Antonio Four. The documentary includes the witch-hunt-like prosecution of the women based on their sexuality and homophobic stereotypes about the LGBTQ+ community. The film showcases their fight for freedom and justice throughout their in prison. 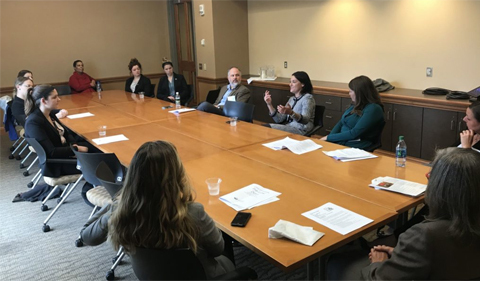 The event is sponsored by the Ohio Innocence Project at The University of Cincinnati College of Law, in partnership with with the Ohio University student group OIP-u and the Ohio University Center for Law, Justice & Culture. The Ohio University student group OIP-u meets next on March 6 at 7 p.m. in Bentley 009. For more information, contact CLJC Director Dr. Haley Duschinski at duschins@ohio.edu or CLJC Pre-Law Specialist and Advisor Larry Hayman at hayman@ohio.edu.